Soon after Ghia had been bought by Luigi Segre, Ghia was commissioned by a wealthy enthusiast to build him a one-off car for competition in the Mille Miglia. Designed by Giovanni Savonuzzi, the body was crafted in metal by Ghia and mounted to a custom chassis powered by an Alfa Romeo 1900 engine. One might say that it had “space age” styling, but Sputnik was still years to come. The Supersonic, as it was named, was obviously inspired by the high performance jet aircraft of its day. 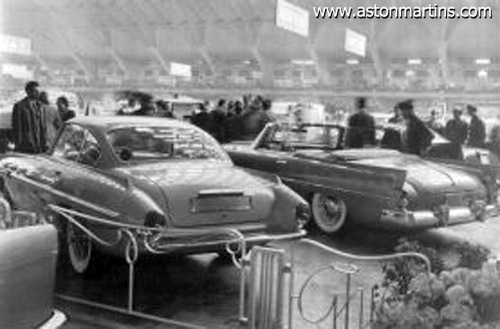 The car was displayed at the 1953 Turin auto show and the positive reaction inspired Segre to plan a limited production of cars based on the Fiat 8V, aimed at the American market. The best that I can determine with a quick search is that in addition to the original Alfa based car, eight Supersonics were built on the Fiat chassis, and three on Jaguar XK-120 chassis, for Jaguar, plus this one Aston Martin DB2/4. It was sold to racing driver Harry Schell who had Ghia add the body. Depending on how you look at it, it’s either very rare, one of 13, or it’s as rare as they get, one of one. The car was exhibited at the 1956 Turin Motor Show and then disappeared from view until it reappeared in the U.S. in the 1970s. Recently restored by Classic & Exotic Service of Troy, MI, it was a class winner at the 2012 Concours of America, and I think it looks fabulous. 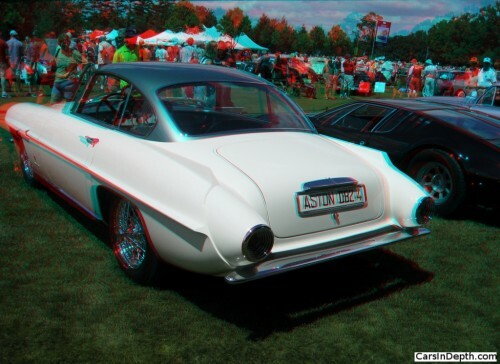 No wonder Chrysler and Ford used Ghia to build show cars for them in the 1950s. 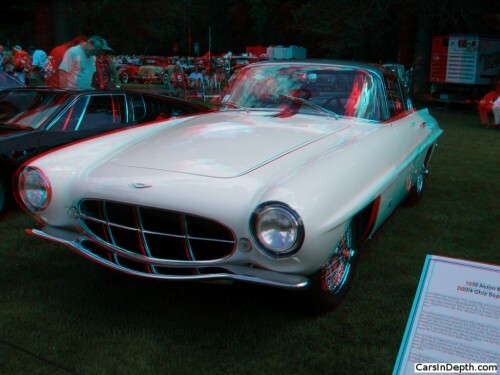 This entry was posted in 3D Imagery, 3D Photos, Aston Martin, Car Shows, Customs and tagged Aston Martin DB2/4, Aston Martin DB2/4 Ghia Supersonic, Ghia Supersonic. Bookmark the permalink.